I’m not an eBook kind of girl. I like REAL cookbooks that I can put my hands on…that I can thumb through…that I can get tomato sauce all over in the kitchen…that Annie can color on when I’m not looking. But, I’m still cooking through my eCookbook stash here because I have collected quite a few from friends and fellow bloggers. And plus, I know some of you are REALLY into eBooks. Trina Holden is a great cook – she’s a great person – she’s a great mom – and she’s a good friend. 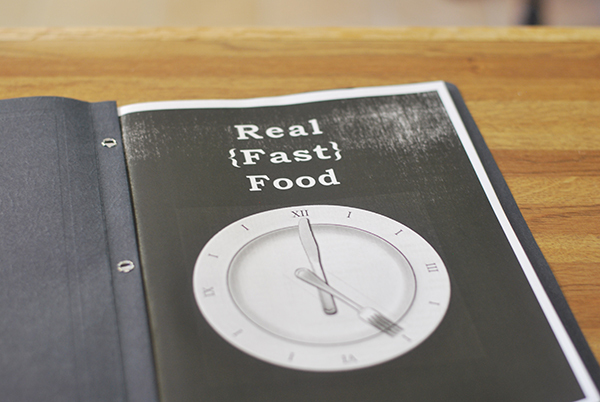 🙂 Real Fast Food will teach you what you need to know about real food without overwhelming you. It’s full of great tips and fabulous recipes (her ranch dressing is delish!). And it’s easy to read…and it’s printable – as you can see I did print mine. And you’re not surprised. 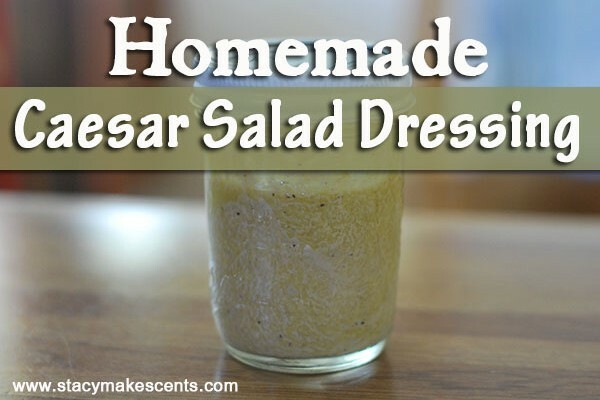 I chose Caesar Salad Dressing to share with y’all today (with Trina’s blessing) – even though I had the option of sharing NutButter Brownies. But since I shared Almond Flour Brownies last week, I didn’t want to overdo the brownie thing. Now that I think back – that might have been stupid. Overdo brownies? Yeah, right. Like that would EVER happen. What did I change in this recipe? Not much – as I said, Trina’s book is about whole-foods already. I just sorta made this recipe more STACYFIED. I need to trademark that phrase. I did use Greek yogurt instead of mayo and changed a few of the ingredient amounts. BONUS for this recipe? No anchovies. Anchovies give me the willies. 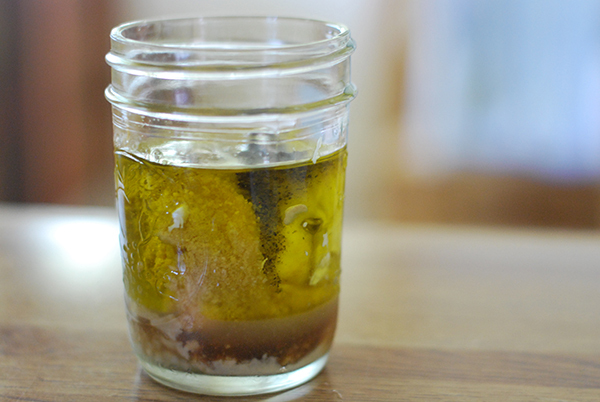 *Shiver* You did know Caesar dressing usually has anchovies in it…right? If not, sorry I told you. Spoiler alert! This recipe is so easy. You just put everything in a jar and shake it. I mean, really. 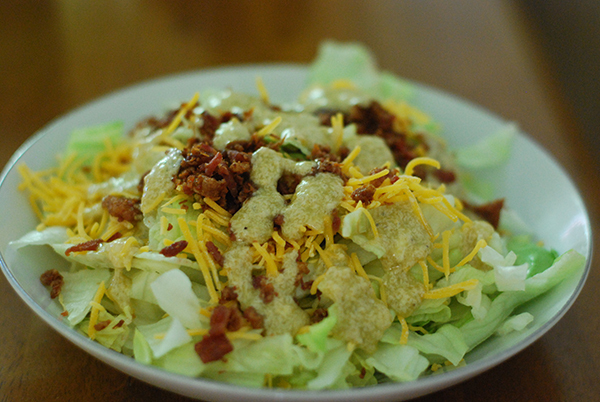 Even a caveman could make this dressing – and by the way, I don’t get those commercials. Trina says this recipe will keep about a week in the fridge. I’m not really a fan of Caesar dressing, but Barry LOVES it! So, I made this for him. I did taste it and it tastes just like the stuff from the store…but homemade with no “added ingredients.” Barry said it was really good! So, another winner for Cooking Through Stacy’s Stash! Buy Real Fast Food HERE for only $6. Also available in paperback for $15. Serve immediately or refrigerate up to a week. WOW!!! That is an awesome recipe. Thank you so much for sharing it. It tastes like caesar dressing and lemony without the olive oil, I’ll add less lemon juice next time and still skip the olive oil. We don’t stock olive oil at home. This was pretty quick. Do you think when you order a salad at restaurants say a low end like olive garden uses anchovies? Hi, this is my first time adding a link. And I wonder, is it possible to edit my link? I saw the “name” section, and put my first name instead of the name of the post. Big face palm! Can you tell I usually don’t do these link-ups?! I feel so silly… Anyway, thanks for hosting this, Stacy and Gwen! I see that you got it fixed! 🙂 You are able to delete your own entries. Thanks so much for linking up!! How fun that you featured one of my recipes. That was a fun surprise to see when I went on the computer today. I’ve been having fun with these every week. Thanks for doing this. 🙂 You’re welcome. Thank YOU for making it work by linking up!! 🙂 It’s a good one for anchovie lovers and haters! Today I discovered that Worcestershire has anchovies in it!!! Thanks for taking them time to link up with us, Debbie! 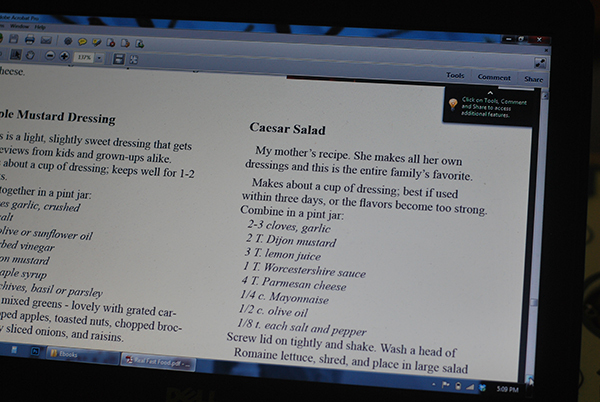 I use this e-cookbook more than any of the others I have. I love it! I pretty much only use her blender pancakes recipe for pancakes anymore…they’re so light and fluffy and easy, and the grains have been soaked to boot! And I just made the nutbutter brownies the other day. They didn’t last long. 🙂 I tried her Salisbury steak last night. Yum. And the chicken and cheese casserole is so good. I’m eager to give her pizza dough a whirl tomorrow, because I haven’t had much success with finding a homemade whole-wheat pizza dough we like. If what she says about her pizza dough is true, then I will have found a winner. There have been a few recipes we haven’t cared for, but it’s that way with any cookbook. Everyone has different tastes. But this is definitely a go-to cookbook for me, and I’m eager to try many more recipes out of it! Thanks for that GREAT testimony, Monika!!! Thanks for another opportunity to link up! I didn’t think I’d make it this week, but I shared my super easy, super healthy summer breakfast for this week. Though I do like my little anchovies, this looks like a good staple to keep around.